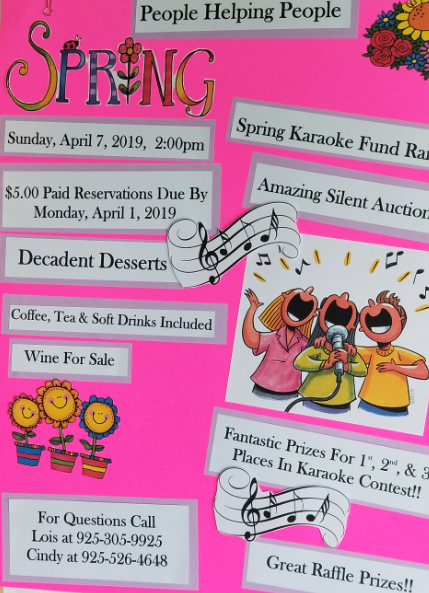 Sunday, April 7th at 2:00 pm Delta Hawaii will be having a Spring Karaoke Fundraiser. There will be an amazing silent auction and fantastic prizes for 1st, 2nd, & 3rd place in the karaoke contest! Decadent desserts, coffee, tea, & soft drinks will included. Paid reservations are $5.00 and is due by Monday, April 1st. For any questions call Lois at 925-305-9925 or Cindy at 925-526-4648.